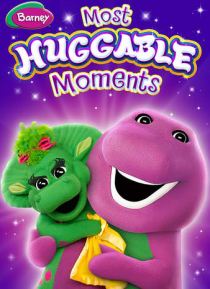 In this Super Dee Duper collection of the most huggable moments, Barney brings preschoolers on journeys big and small and reminds everyone that they're special just the way they are! Barney shows Ryan that he doesn't need to pretend to be someone else to be popular, and teaches Myra that her name isn't the only thing that makes her unique. He helps Baby Bop discover meaningful ways to be a good fr… iend, and BJ and Riff give new meaning to the word teamwork.